Pizzaboxes to pack your pizza! Our selection of pizzaboxes are based on the most sold boxes in Europe. It's even possible to create your own design! Check out our Brand It page and calculate your price in just a few seconds! 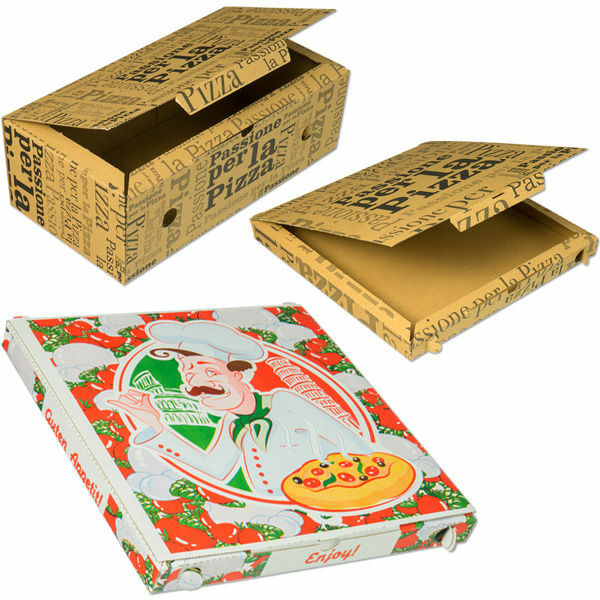 Pizza boxes printed with your logo!